When the Boeing 717 was still being produced from 1999 to 2006 the price of the 717-200 continued to climb. 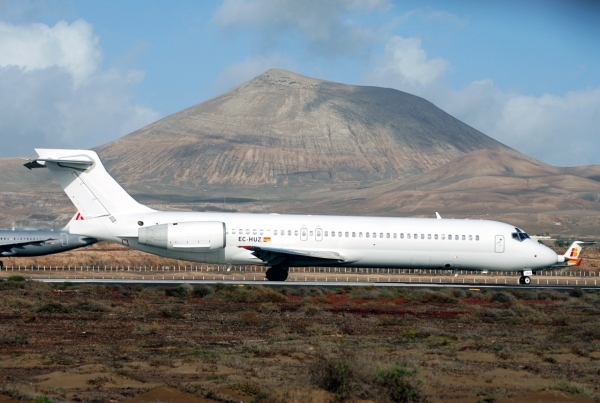 In 1999 the Boeing 717-200 price was around $33.08 million dollars USD ($33,080,000). By 2004 the price of the Boeing 717-200 rose to $37.5 million dollars USD ($37,500,000). This represented a $4,420,000 USD increase or a 13.36 percent increase during this time. The Boeing 717 price described are "list" prices for the aircraft. Airlines usually negotiate with Boeing to get a package deal that lowers the cost of the aircraft. The real new price for the 717 is actually much lower then the list price. The price of the aircraft was likely around half the price of the list price. The Boeing 717-200 is no longer produced by Boeing. Production of the aircraft ended in 2006. The only Boeing 717 available is a used B-717-200 aircraft. The selling price of this aircraft is unknown to us a this time, as many of the Boeing 717-200s are actually leased from Boeing Capital Corporation. We have not located any Boeing 717-200 sales and have not seen pricing for a used version of the aircraft. We estimate that the aircraft could cost anywhere from $9 to $20 million dollars for a used version. Pricing will all depend on the condition and age of the jet. As of April 2015, it has been reported that some of the Blue1 717-200 jets are being sold for around $10 to $11 million USD. Learn more about the Boeing 717-200 by visiting the other pages here on the site. Above Boeing 717-200 airplane photo by Allen Watkin on Flickr on Flickr and Wikimedia Commons. Photo (only) released under a Creative Commons License. Boeing B-717-200 Price: The FAA and other some times call the jet the B-717, B-717-200 or the B717 (with no dash). Boeing B712 Price B712 is the ICAO code for the airplane that is used by air traffic controllers, airlines and others. More information on this will be posted later. Boeing 717 Price (with out the -200): Many call the 717-200 just the 717, which is the main aircraft program the plane is in (the only plane in the 717 program). "717" is also the IATA code for the jet aircraft.